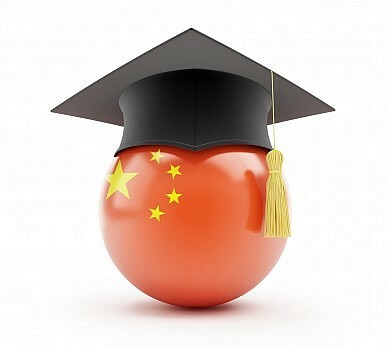 Are US-China Academic Exchanges Worthwhile? Recent criticisms of US-China academic exchange programs miss what these exchanges can do for US-China relations. It’s possible of course that some Chinese academics in the U.S. are spies. The Chinese Communist Party (CPC) has previously worked to block certain outspoken intellectuals (such as recently arrested professor Ilham Tohti) from taking up posts at foreign universities, so it’s not unreasonable to assume that Chinese academics visiting the U.S. have at least a baseline level of government approval. But it’s a big jump from there to outright accusing them of spying. Xia’s claim is juicy, no doubt, but ultimately a red herring. Focusing on that aspect ignores the larger debate over U.S. academic cooperation with China. Recently, U.S. academia and media alike have begun to pay more attention to the philosophical and moral issues that arise when dealing with an authoritarian government. First, there’s the thorny moral issue of setting up campuses in China that have restrictions on the way history, politics, and other topics can be discussed. In addition, some are concerned that institutions with robust relationships with China begin to self-censor to avoid jeopardizing profitable cooperation with Chinese institutions. For example, Chinese dissident Chen Guangcheng claimed that NYU forced him out of his fellowship there in order to safeguard the university’s new campus in Shanghai (an accusation NYU strongly denied). There’s also been concern that Chinese government-funded educational initiatives like Confucius Institutes make it seem that the CPC line on Chinese history and politics has been approved by the host university. At the Cato Institute event, Thomas Cushman, a sociology professor at Wellesley College, touched on the philosophical and moral issues that can stem from academic collaboration with China. As Cushman noted, the main argument for U.S. academic institutions interacting with China is that it’s “good for China.” There’s a sense that such cooperation will help spread Western ideas and liberalize the academic environment or the country as a whole. Cushman posited that the opposite was true: Chinese involvement in U.S. academic institutions created more, not less, support for the CPC’s policies in China’s academic community. If the goal is “liberalize” China, then, such exchanges could be considered a failure. But I would suggest that the underlying benefits of U.S.-China academic interactions have nothing to do with a goal of somehow liberalizing China by osmosis (an idea that, as Cushman pointed out, smacks of cultural imperialism). Rather, the most important benefit of academic interactions is not to change either country’s perceptions, attitudes, or values, but simply to increase mutual understanding. “Mutual understanding” is a somewhat vague term that is often thrown around to mean a general state of harmony between two nations. Used this way, mutual understanding implies acceptance or even approval. I use the term in a narrower sense—mutual understanding as I see it simply means both countries have reached a baseline level of knowledge about and familiarity with each other. In this sense, mutual understanding has huge benefits for U.S.-China relations, not because it fosters harmony between the two counties, but simply because it increases the knowledge the two populations have about each other. And this increases the ability of Beijing and Washington to predict each other’s actions. While there can be a certain value to unpredictability and secrecy in the military realm, in a general political sense, interactions are far better served by predictability. And the ability to predict is contingent on the ability to understand. Recent tensions in U.S.-China relations have been exacerbated by misunderstandings and confusion. China is suspicious of the U.S. pivot to Asia, unclear about what American intentions towards China really are, and uncertain of how far the U.S. will go to intervene as a third party in regional disputes. The U.S. is just as suspicious of China’s regional ambitions and its growing military, and just as uncertain as to what actions China is likely to take in regional disputes. Here’s where mutual understanding comes in: if U.S. and Chinese academics and students (some of whom will go on to become policymakers) can use academic exchanges to better understand each country’s priorities, goals, and policies, it will decrease this uncertainty. This doesn’t mean the U.S. and China can suddenly begin to trust each other through academic and cultural exchange, but simply that they will have a better feel for what actions and reactions to expect. This, in turn, could vastly simplify regional planning. The Taiwan issue has remained fairly stable since the 1950s because the U.S. and China have both made their positions abundantly clear, allowing each government to adjust its behavior to avoid the unwanted outcome of war. If China and the U.S. can reach similar understandings (not agreements, but simply understanding) of each other’s positions on current regional issues, such as the South China Sea disputes, it will make it easier to avoid unwanted escalation. There is a lot of misinformation in the U.S. about China, and vice versa. If nothing else, academic exchanges provide a first-hand source of information about the other country. It’s the difference between saying, “I read that they think this” and “From my conversations, I know that they think this.” In crafting foreign policy, that difference could save both the U.S. and China a lot of headaches. Moreover, academic exchanges could also help humanize the U.S. and China, as recent surveys have noted there’s a growing perception problem among the two populations. It should be noted, until the CPC is willing to allow U.S. academics in China to be truly honest about what they think, there will be limits to how far these exchanges can go. Chinese academics and students won’t be able to understand how their U.S. counterparts view China’s Tibet policy, for instance, if they are not allowed to listen to such discussions. But Chinese barriers to academic discourse are no reason for U.S. academic institutions to limit access to Chinese scholars, who are also trying to express their opinions—even if those opinions correlate with the official government line. To do so would mean stunting the growth of U.S.-China understanding just as such knowledge is becoming more vital than ever. The US Is Pushing Back Against China. What Happens If We Succeed? Those hoping for the collapse of China’s communist government need to think seriously about what the consequences would be.